In concert with commercial businesses or municipalities like yours, we’ll identify potential energy saving applications such as: acquisition of street lights from the local utility and retrofitting with LEDs; garage, exterior, and stadium lighting; interior office and common area lighting; and illuminated signage. Conduct a thorough energy audit of current energy consumption and lighting technology. Compare existing lighting technology to more energy efficient equivalents. Consider use of renewable energy technologies to help reduce the demand for energy (such as solar). Provide comprehensive analysis with recommendations detailing energy and maintenance savings as well as cost recovery projections and environmental impact figures. Consider available financing options and structure the debt so your payment is covered by the energy savings. 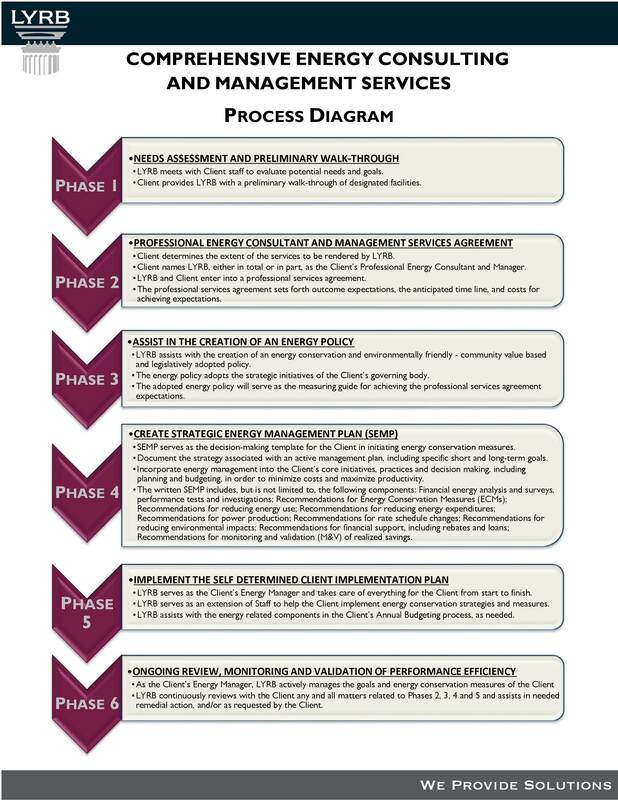 Conduct a competitive bidding process for both the purchase and installation of lighting upgrades and renewable energy components. Oversee the installation of your lighting upgrades and renewable energy components by licensed and qualified professionals. Handle submission of paperwork for all available rebates and/or incentives from utility providers.